It was a great complement to a flapper costume - really fun to wear! Nothing is more fun than dressing up on your night out. 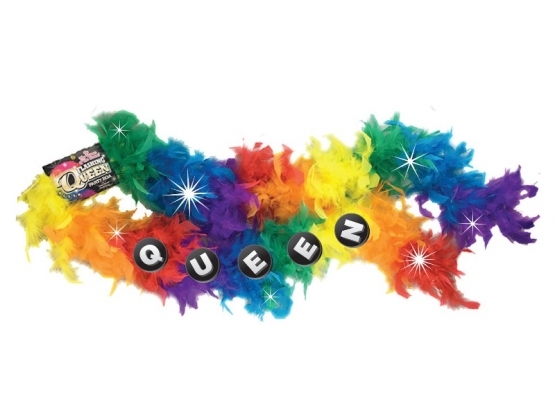 This flashing feather boa is the perfect addition to any pride event. 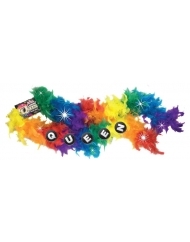 This boa is 6ft long and has flashing lights, that turn on and off and flash fast or slow. Have a great time showing off in this fun accessory. Little Genie Productions have been in business for over 18 years and have become a brand name that encourage playful and fun times either in intimate moments or as party favors. Tiffany Lysene is the owner of the company and has shown unparalleled drive to ensure that the consumer gets what they want with her standing behind every product that they produce, develop and send to market. Pushing the envelope of passion and fun Little Genie Noveltiescharges ahead creating consistently premium products for party goers and couples.